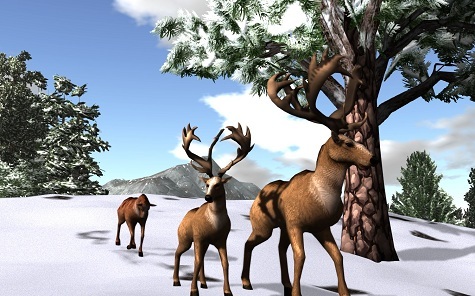 The Xsyon team has revealed that the new Creature Migration system is now in place in the game. According to the devs, the new system gives Xsyon a “living, breathing quality” by having animals throughout the world move to areas they find comfortable rather than simply staying in one place all the time. Animals breed in the wild and migrate from regions of high to low population. Small and tame critters gravitate towards Xsyon’s central lake zone near player built towns. Dangerous wild creatures seek higher ground in the mountains and find homes along the outer reaches of the world. Creatures reaching the green toxic mist that enshrouds the world of Xsyon can mutate and return to terrorize the citizens of this brave new world.